In this study, a novel method is used to prepare water-soluble CdTe, CdTeSe quantum dots (QDS) and CdTe/CdS core-shell QDs by using Te, Se, NaBH4, and CdCl2 as precursors. Electrospinning method is used to obtain polyvinyl alcohol (PVA)/QDs composite nanofibers. A series of PVA/QDs nanofiber mats with three different QDs content are prepared. Transmission electron microscopy (TEM) and X-ray powder diffraction (XRD) have been used to characterize QD nanoparticles. In addition, for characterization of the composite nanofibers, scanning electron microscopy (SEM) and atomic force microscopy (AFM) have been used. QDs have a good dispersed crystalline structure with an average crystalline size between 2-4 nm. Morphology analyses reveal that the composite nanofibers with an average diameter ranging from 50 to 250 nm are prepared using the electrospinning technique. 1. Ko, H.C, Park, D.C, Kawakami, Y, Fujita, S, Fujita, S, Fabrication of Zn1−xCdxSe quantum dots by molecular beam epitaxy on the GaAs (110) cleaved surface, Microelectronic Engineering, 1998, 43–44, 677–682. 2. Arakawa, Y, Sasaki, H, Multidimensional quantum well laser and temperature dependence of its threshold current, Applied Physics Letters, 1982, 40 (11), 939–941. 3. Zhang, P, Han, H, Compact PEGylated polymer-caged quantum dots with improved stability, Colloids and Surfaces A: Physicochemical and Engineering Aspects, 2012, 402, 72–79. 4. Grieve, K, Mulvaney, P, Grieser, F, Synthesis and electronic properties of semiconductor nanoparticles/quantum dots, Current Opinion in Colloid & Interface Science, 2000, 5, 168–172. 5. Basta, N, Shreve's Chemical Process Industrie. McGraw-Hill Book Company, New York, 1999. 6. Ramakrishna, A, Fujihara, K, Teo, W.E, Lim, T.C, Ma, Z, An Introduction to Electrospinning and Nanofibers, World Scientific Publishing, London, 2005. 7. Gopal, R, Zuwei, M, Kaur, S, Ramakrishna, S, Surface Modification and Application of Functionalized Polymer Nanofibers. In: Mansoori G.A., George T.F., Assoufid L., Zhang G., Topics in Applied Physics. Springer, New York, 2007, Chap 4. 8. Hwang, E.T, Lee, H, Kim, J.H, Tatavarty, R, Gu, MB, Highly-stable magnetically-separable organic-inorganic hybrid microspheres for enzyme entrapment, Journal of Materials Chemistry, 2011, 21, 6491–6493. 9. Kim, J.H, Hwang, E.T, Kang, K.K, Tatavarty, R, Gu, M.B, Aptamers‐on‐Nanofiber as a Novel Hybrid Capturing Moiety, Journal of Materials Chemistry, 2011, 21, 19203–19206. 10. Lee, S.J, Tatavarty, R, Gu M.B, Electrospun polystyrene–poly(styrene-co-maleicanhydride) nanofiber as a new aptasensor platform, Biosensors and Bioelectronics, 2012, 38, 302–307. 11. Kim, Y.S, Kim, B.C, Lee, J.H, Kim, J, Gu, M.B, Specific detection of DNA using quantum dots and magnetic beads for large volume samples, Biotechnology and Bioprocess Engineering, 2006, 11, 449-454. 12. 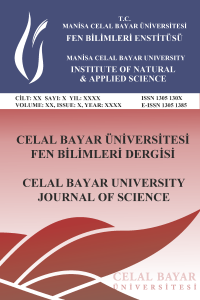 Koysuren, O, Yesil, S, Bayram, G, Effect of Surface Treatment on Electrical Conductivity of Carbon Black Filled Conductive Polymer Composites, Journal of Applied Polymer Science, 2007, 104, 3427-3433. 13. Chen, X.F, Zhou, M, Chang, Y.P, Ren, C.L, Chen, H.L, Chen, X.G, Novel synthesis of β-cyclodextrin functionalized CdTe quantum dots as luminescent probes, Applied Surface Science, 2012, 263, 491-496. 14. Liu, Y.F, Yu, J.S, Selective synthesis of CdTe and high luminescence CdTe/CdS quantum dots: The effect of ligands, Journal of Colloid and Interface Science, 2009, 333, 690–698. 16. Ding, B, Kim, H.Y, Lee, S.C, Lee, D.R, Choi, K.J, Preparation and characterization of nanoscaled poly(vinyl alcohol) fibers via electrospinning, Fiber Polym, 2002, 3, 73-79. 17. Menezes, F.D, Galembeck, A, Junior, S.A, New methodology for obtaining CdTe quantum dots by using ultrasound, Ultrasonics Sonochemistry, 2011, 18, 1008–1011. 18. Liu, J, Shi, Z, Yu, Y, Yang, R, Zuo, S, Water-soluble multicolored fluorescent CdTe quantum dots: Synthesis and application for fingerprint developing, Journal of Colloid and Interface Science, 2010, 342, 278-282.